The eight-piece Brighton band King Porter Stomp have developed their own trademark reggae, ska and hip-hop style, made to be played and heard live, and their releases always have the immediacy associated with live performance. A year after their single ‘Warning’ (see reggaemusic.org.uk 25th November 2014), the band release their new political reggae-rock single ‘Put Down Your Weapons’. Recorded and mixed by Brighton’s own renowned reggae producer Prince Fatty at his Ironworks Studio, this is a strong record with the high production values you’d expect. It’s melodically simple and all the more effective for that: a gentle intro giving way to relaxed chilled-out roots reggae with its powerful message of peace. With minimalist production, the sound is dominated by brass, vocals, and an almost grungy guitar somewhere in the background. 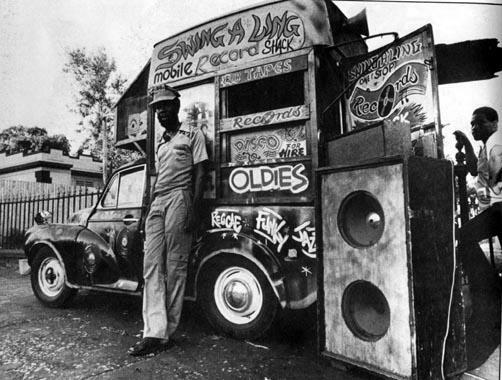 Added to this is a live dub version of the track courtesy of Prince Fatty himself. ‘Put Down Your Dub’ is a great old-style dub held together by bass and prominent drums, sparse rather than cluttered with effects and over-production, and definitely worthy of attention. King Porter Stomp: Put Down Your Weapons, release November 2015, Feet Up Records. Here comes a new seven-track EP from alternative hip-hoppers the Scribes. the title of which might well have been a Kinks album from the late 60s. In contrast, it’s a sci-fi tale of an apocalyptic future and a rather nasty turn of events for life as we know it. Making the end of the world entertaining is a staple of Hollywood but less so in contemporary music; this release is an innovative attempt at tackling this theme. Things open up with a spoken-word introduction to a dystopian landscape that makes old variations on the theme – like Things to Come – seem very tame in comparison and then it gets into its hip-hop hook. Along the way are some electronic references to bands such as Kraftwerk (in the ‘new world’) – references accentuated by the robotic theme – along with some rapid hip hoppery (in ‘the fight’). It’s very different from other current music, and for that matter it’s different from what the Scribes have offered us before (for instance see reggaemusic.org.uk 3rd February 2015). Not quite the next Merry Christmas Everybody but it’s new, different and impressive in its own terms.